Busy Bees in Guiseley - Class of 2018 starts Primary School! Class of 2018 starts Primary School! The children in Sunflowers are getting ready to start their new adventure to Primary School. 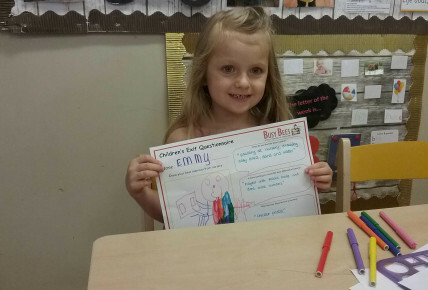 As well as taking part in the pre-school project the children have been talking a lot about what they are going to miss about Busy Bees. The children filled in their own leavers questionnaire. 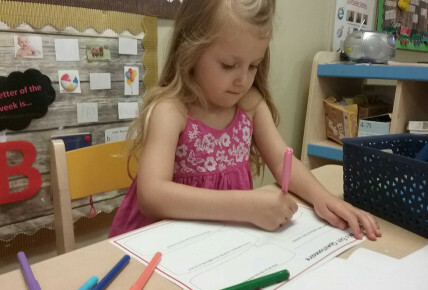 They talked about what they liked best at nursery, would they might have done differently and what their favourite foods were. 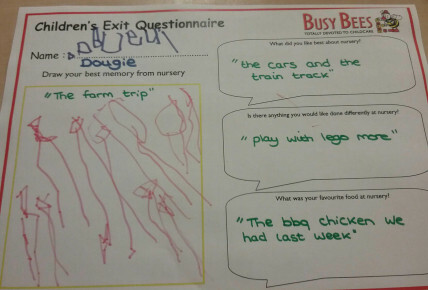 The children had to draw a picture of their best memory at Busy Bees. 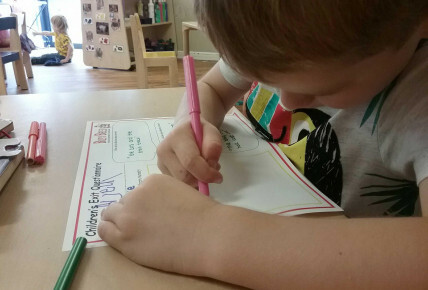 They were also encouraged and shown how to hold a pencil/pen correctly and talk about what they had drawn and why.